Through 18+ years of experience in training, education, speaking, and personal and corporate development consulting, Rami has worked with 40+ multinational, regional companies, Banking, and governmental ministries, and delivered Training and consulting services to several corporations in the MENA region. The assignments covered all elements of the training and development cycle; evaluating current practices, designing training strategies, delivery training courses, coordinating logistics, and everything in between. Rami has supported hundreds of people from more than 20 countries understanding their authentic identity and finding their true-life purpose through, public speeches, coaching, workshops, seminars interactive demonstrations, and over 100 videos talking about personal development in his social media platform. 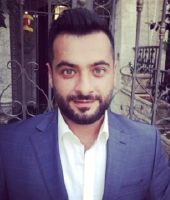 Prior to specializing in training / learning and development, Rami had the opportunity to work in accounting, business development / customer service, and at a university as a faculty member for undergraduates. Having the opportunity to work in different professions helped me understand the technical, practical and soft skills needed for each of these functions, and that resulted in better serving the different functions of the organization.